Raise money for Parkinson’s UK this August by abseiling down Liverpool Cathedral. All entrants will receive a fundraising pack, a Parkinson’s UK T-shirt and support on the day. Keep the wheels turning in Stirling for Parkinson’s UK with a choice of routes of between 23 and 51 miles. Participants will receive fundraising and bike mechanic support, official timings, refreshments – and a post-race leg massage. Help prepare the next generation of Parkinson’s physical therapists by applying to the Physical Therapy Faculty Program. Applications are open to faculty leaders in the US. Join the inaugural charity walk or run to raise money and awareness for the Parkinson Society Singapore. The 5km/8km route takes participants across the scenic Pasir Ris park. The registration deadline is 6 August. Join PMDA for a free Parkinson’s conference where guests will listen to movement disorder physicians sharing information about new and upcoming Parkinson’s treatments. 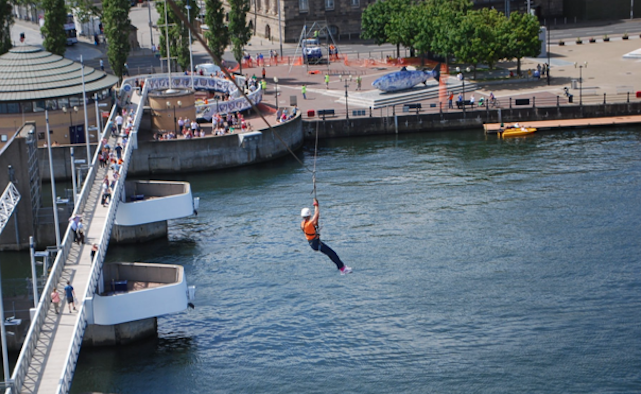 See Belfast like you’ve never before: jump from a 140ft platform and zip line across the River Lagan in aid of Parkinson’s UK. Registration costs £40. Join Team Fox as they race through the world-famous vineyards of Sonoma County. Riders can choose routes from 10 to 73 miles long. All proceeds raised go to the Michael J Fox Foundation. The conference’s main theme is ‘Harnessing the understanding and advancement in Neurology and Neuroscience’. Attendees will be accredited with CME and CPD Credits. The conference brings together a worldwide gathering of experts who are working towards a cure for chronic diseases. This year’s theme is ‘Promote, prevent, treat and care’.